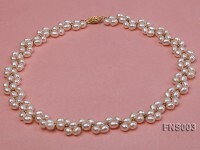 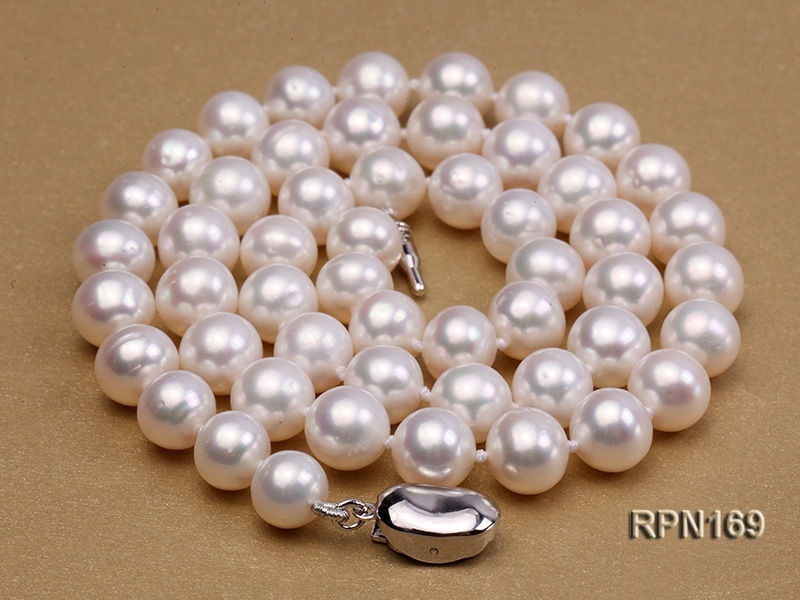 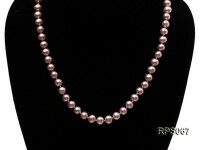 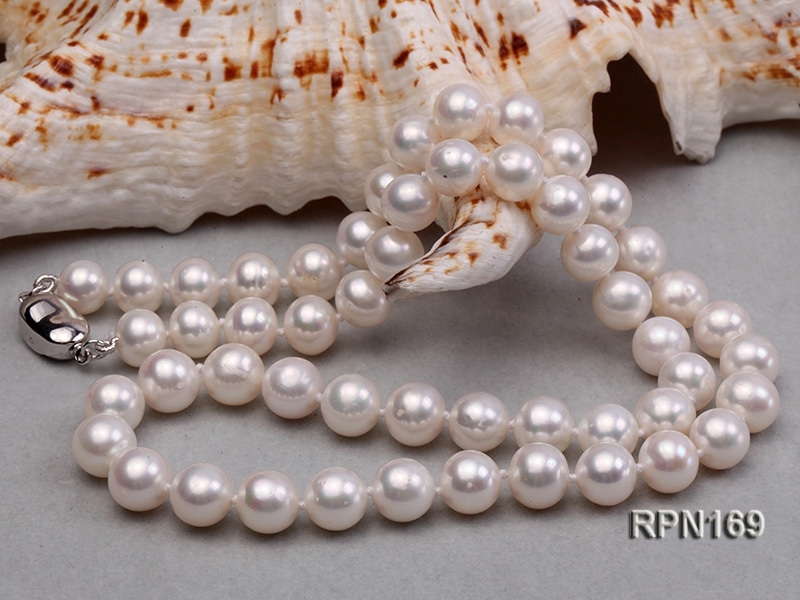 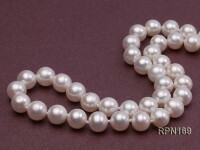 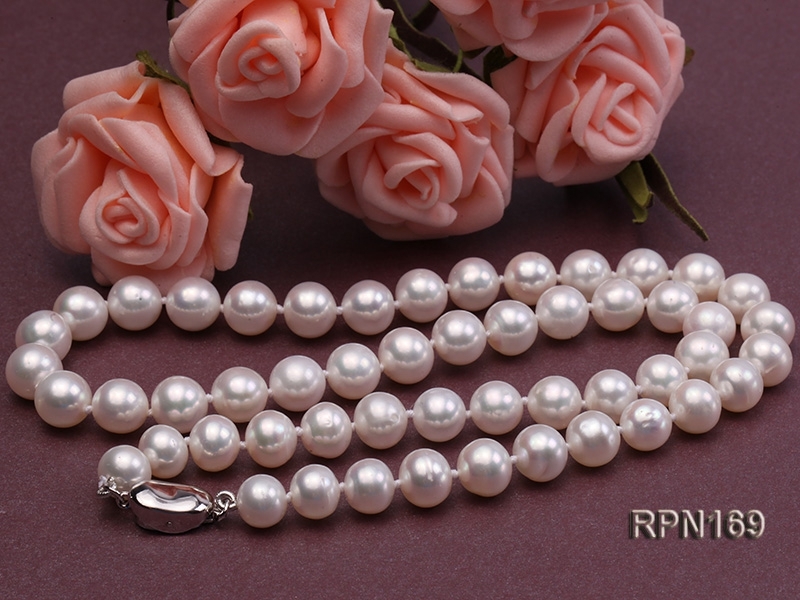 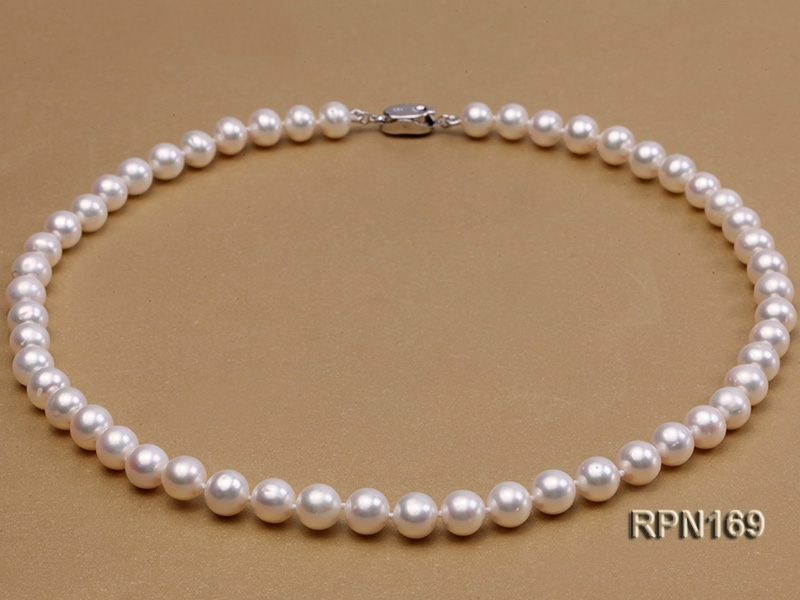 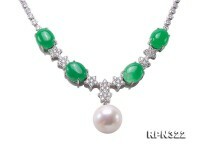 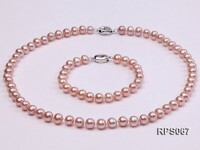 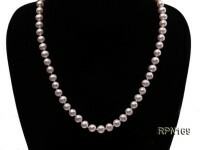 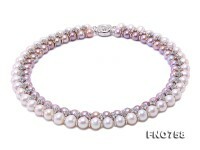 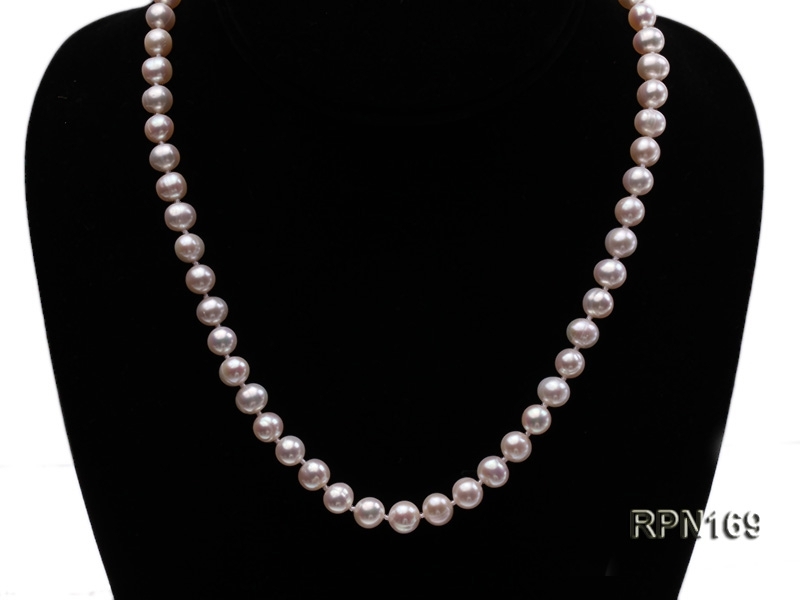 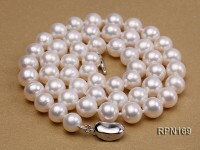 Charming single-strand princess necklace made of AAA-grade 7.5-8mm classic white round freshwater pearls. 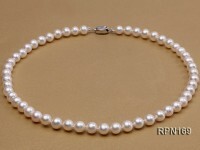 The necklace is 18 inches in length and completed by a delicate GP clasp. 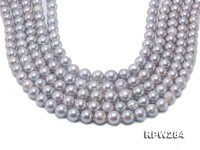 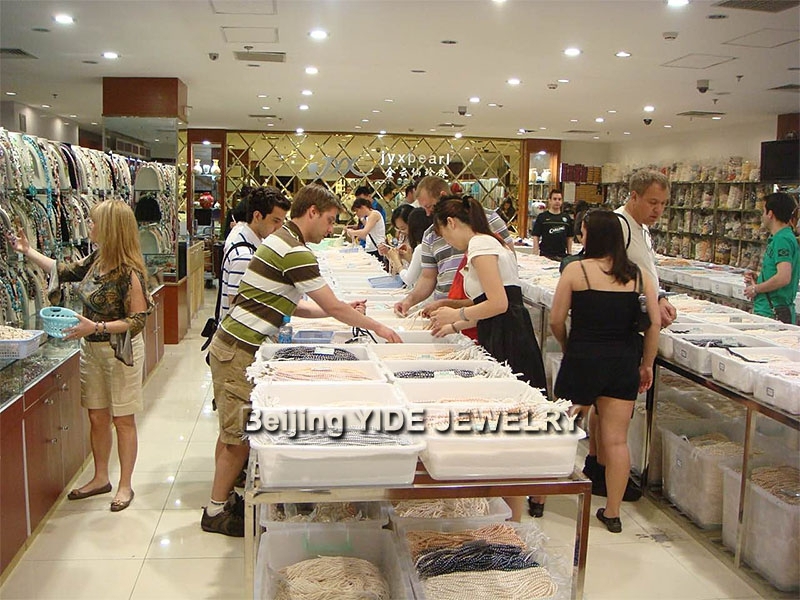 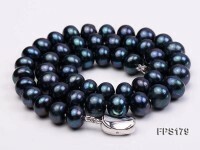 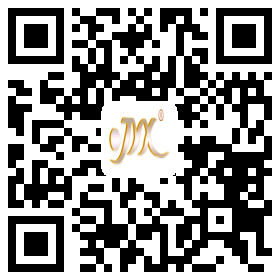 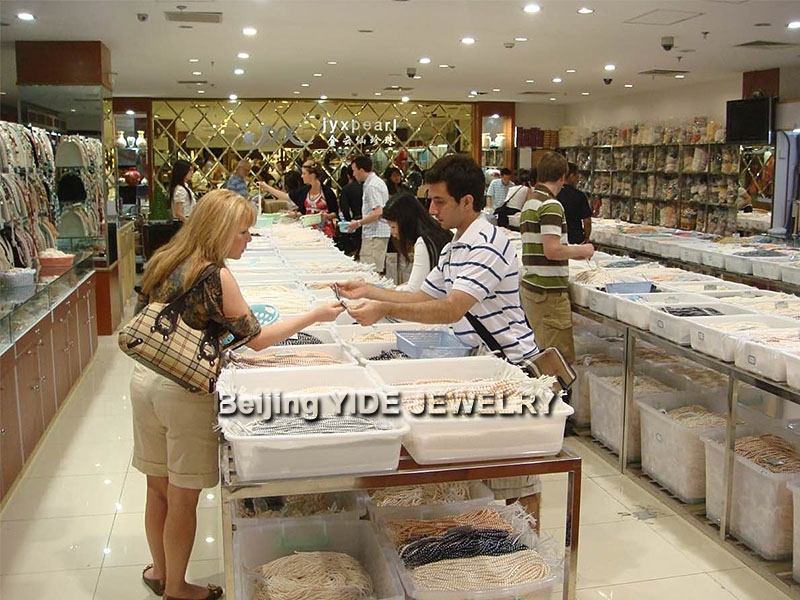 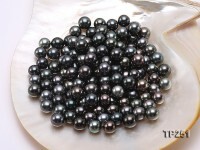 The pearls are carefully selected by our professionals to perfectly match with each other and uniformly have excellent roundness, splendid luster and smooth surface. 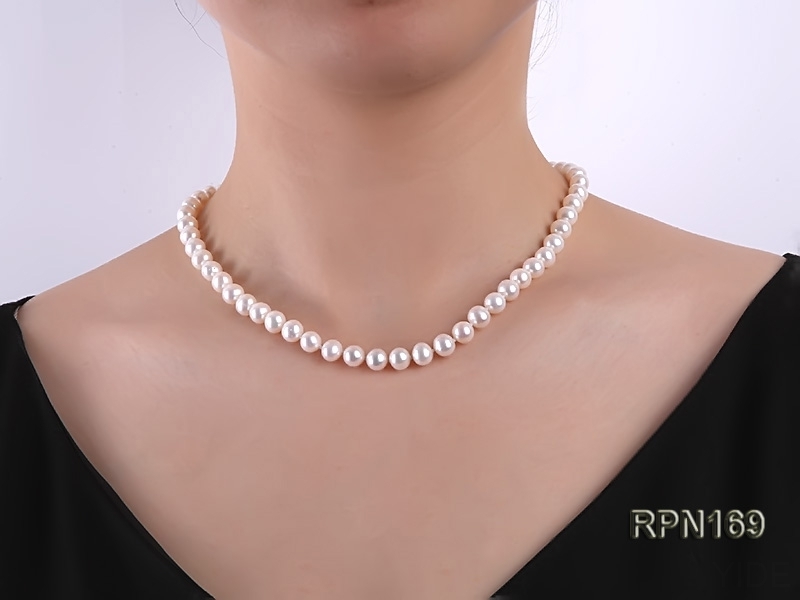 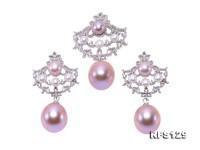 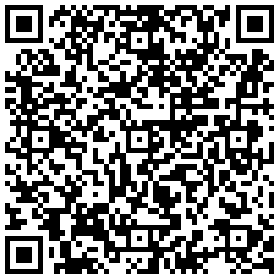 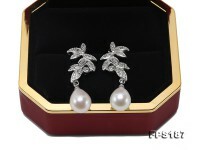 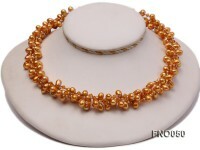 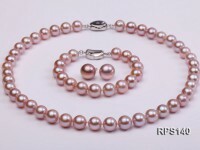 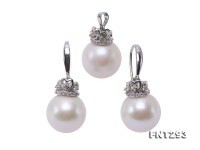 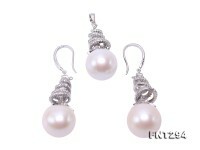 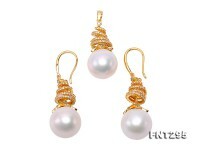 A solid manual knot between each two pearls can both ensure security and enhance beauty while wearing in any occasion. 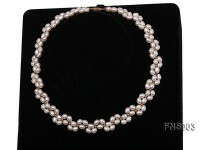 Wear the pearl necklace in your favorite black dress for instant glamour.